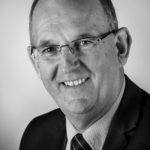 Colin joined WLP in 2016, following a successful career with a mainstream Retail Bank working with SMEs in Norfolk. During this time he gained valuable experience in a number of senior managerial roles, developing strong relationships with clients, using his technical and analytical skills to understand the day-to-day issues business owners face. He has achieved considerable success in helping businesses through changing economic environments. His experience of training and HR practice has helped businesses through periods of change.